A few days back a video of an HTC phone leaked on the Internet. It looked like it was made for Sprint’s network and similar to the EVO 3D. Now that the phone has been officially launched we know that it is called the HTC EVO 4G+ and will bea heading to Korea instead. The EVO 4G+ is almost identical to the EVO 3D. The only major difference between the two is the lack of a 3D display and dual cameras on the back. Instead it has a standard 4.3-inch qHD display on the front and an 8 megapixel camera on the back capable of recording 1080p videos. Inside it has a 1.2GHz dual-core Snapdragon processor and 1GB of RAM. Think of it as the Korean version of the Sensation. The EVO 4G+ has the same slightly chunky dimensions as the EVO 3D and that same nice, large camera shutter button that we all love. It also has the same 1730mAh battery inside. So far, we haven't heard any details regarding pricing and release date but we will keep an eye out for further info. Meanwhile, here's the video that was leaked before. 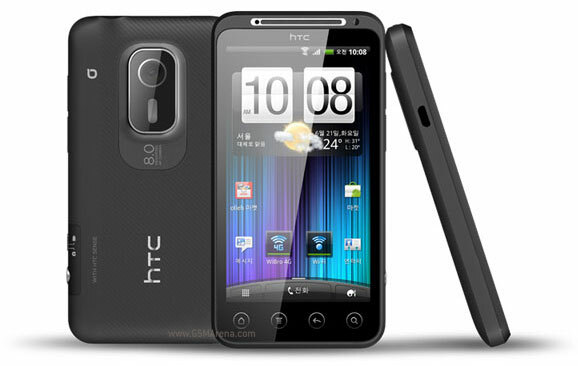 The HTC evo 4g supports for GSM as well as WCDMA, its not CDMA.